It is proven that exhibitions are one of the strongest sales lead generators, since customers are more likely to spend money with companies they have met in person. Face-to-face communication makes it easier to promote your strengths, spread the message about your products and services, gain brand awareness and improve word-of-mouth about your company. We select exhibiting companies for their relevance to the market – in fact we reject companies if we believe they don’t suit our audience as we are committed to delivering a 100% focused exhibition. 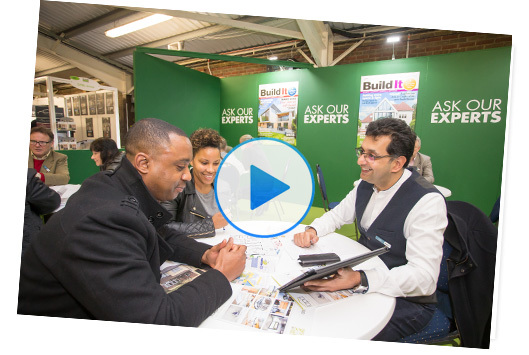 When you exhibit at Build It Live, you’ll be sure that you’re meeting the right people in the right area – and taking away the best quality leads for your business. The varied locations of our three annual shows means accessing affluent self build pockets across the UK is easier than ever.